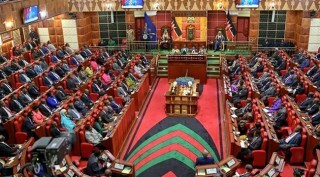 In a Gazette Notice dated September 8, National Assembly Speaker Justin Muturi gazetted the Special Sittings to be held at 9.30 a.m. and 2.30 p.m. at the Main Parliament Buildings, Nairobi. This comes after Kenya, Uganda and Rwanda on September 1 signed the Agreement with the EU ahead of the October deadline. However, Tanzania, Burundi and South Sudan are yet to sign, which still poses a challenge of EAC actually enjoying the free market access in the EU. Being a single customs territory, however, the remaining EAC members must also sign the pact to make it enforceable. If they do not sign, Kenya – being the bloc’s only developing state – stands to be the biggest loser as its huge exports to EU will attract duties since it is not classified as Least Developed Country like her regional counter parts. All EAC members have been negotiating the EPAs since 2007 leading to conclusion of negotiations in 2014 where it was initialed, translated and legal scrubbing concluded. Of the six members, Tanzania has publicly indicated its unwillingness to sign the agreement with Europe saying it could stifle its economy. Burundi has been wanting the signing to be tied to the sanctions EU imposed on the country last year following the political crisis caused by President Pierre Nkurunziza’s running for a controversial third term. On August 31, Kenya’s Trade Minister Adan Mohamed made an appearance at the EU Parliament where the matter to lock out Kenya from the EU market after 1st October 2016 was being discussed. He made a concerted presentation to the EU Parliament’s International Trade Committee (INTA) and assured them of the EAC Partner States commitment to the EPA as demonstrated by over nine years of consistent engagement with the EU leading to the successful conclusion of the EPA.